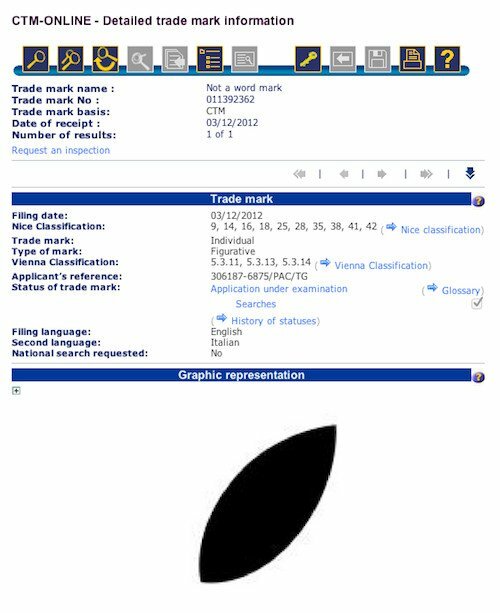 If you thought Apple patenting the rectangle was a gratuitous abuse of intellectual property, you may be pained to hear that Apple has now applied to trademark a leaf. Specifically, Apple wants to protect the leaf on its company logo. Apple applied for to the European Trademark Registry on 3 December, with the help of London lawyers from Edwards Wildman. Apple: trademarking the leaf. The white space around the leaf next? The trademark application covers 10 classes of products including computers, jewellery, educational material, footwear, film streaming services and paper packaging for audio tapes. So put the brakes on any plans to put sharp-ended tilted ovals on trainers or text books, because if the trademark is granted, you may end up on the receiving end of legal action from Cupertino. According to the filing, Apple previously submitted a trademark application for the leaf in China.